Did cosmic blast kill first Americans? 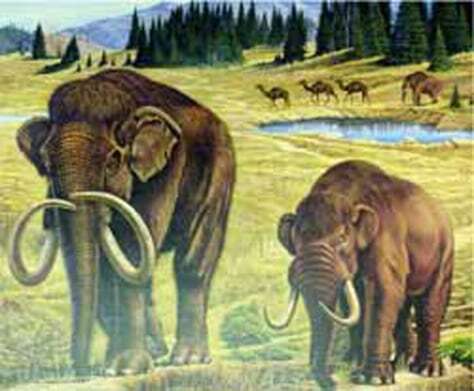 In this artist's conception, a mammoth and a mastodon roam a Pleistocene landscape, with camels in the background. Scientists say such creatures passed away from North America thousands of years ago.